Drawing on students’ language repertoires for conjecture, we here focus on communication acts to consider students’ mathematical identities in action. Our attention to authority and positioning in mathematics classrooms led us to interrogate the intertwined nature of discourses and how they may make identities available. We use an interaction among a group of grade ten students in a problem-solving situation to illustrate and develop our conceptualization of identities in contexts of intertwining discourses. We consider how the participants position themselves in relation to each other, to mathematics, and to other available discourses, and we ask how their communication acts might serve their purposes within the discourses. 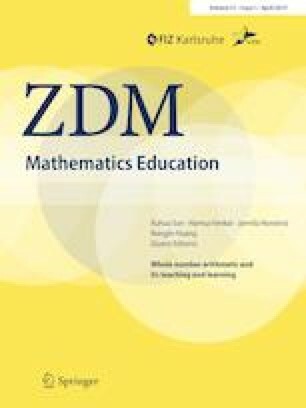 We discuss the implications of intertwined discourses for students’ developing identities when communicating in a mathematical context. We argue that one cannot understand students’ mathematical identities without understanding that their communication acts are also part of their repertoires for a range of discourses. This motivates intentional work to support the development of identities accessing available discourses in mathematics learning. This research was supported by the Social Sciences and Humanities Research Council of Canada (Grant no. 125644), as part of a Grant entitled “Students’ language repertoires for investigating mathematics” (Principal Investigator: David Wagner). The article is an elaboration of a research report presented at PME-NA (Andersson and Wagner, 2016).